Considering doing a detox but not sure if it’s right for you? For the majority of us, our lives are hectic, fast-paced, and busy. We have to get from point A to point B in a matter of time, finish this task, call this person, pick that person up….the list goes on and on. Meanwhile, you have to sleep, eat, and give yourself time to breathe amongst the chaos. It’s easy to neglect yourself when you have a busy lifestyle. So often we put our jobs, relationships, kids before our own health. Here at RoadtoRetreats.com, we understand that life can be stressful and busy, but just like us, we all need to make that time to focus on our own health and well-being. This is one of the many reasons we have created this online directory full of life-changing and inspiring retreats to help you move towards a lifestyle which influences you to make healthy, stress-free living a part of your life. If you are considering going on a detox retreat or would like to do one at home, here are just some of the few benefits. Protect your health. Pollution, a diet high in toxins, fats, and lacking nutrients can really do damage to your body. A detox gives your body the chance to cleanse itself of any harsh toxins that you have been ingesting. If poor lifestyle choices continue, long-term this could lead to disease. If you are a smoker, don’t exercise often, and lack a high fiber diet, we highly suggest a good detox program to give your body a break. Removing toxins and waste from the body can really lighten your load! Over time, poor lifestyle choices can build up in the gut and intestines leaving you sluggish and feeling heavy. A good detox will help eliminate all toxins in your system, including cleaning out those intestines and gut which may have a build-up of years of waste. A detox will help clean this all out leaving you feeling light and full of energy! A detox is almost like a tune-up for a car. Just like a car, our bodies need a fine-tuning every once in a while to keep the engine running. If you don’t change the oil, there will be long-term damage. Same with our bodies – if you don’t take care of it, long-term damage could arise as well. What we put into our bodies plays a major role in how we feel and the state of our health. Our bodies do have a natural detox system in them, but eventually, these systems get overloaded and start to wear down. Once these systems wear down, your body is much more susceptible to disease. A detox will give your body that recharge, so you can give your body a rest. 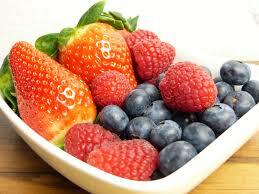 Environment and diet play a huge role in the state of our skin and hair. Your skin is the largest organ in the body. When faced with numerous toxins, environmental pollutions, and dead skin cells, your skin will definitely let you know when it’s had enough. 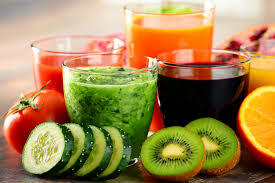 A detox can help eliminate whatever is toxic in your bloodstream and leave you with a fresh healthy glow. When we overload our bodies with bad food, toxins, a poor lifestyle, it affects our nervous system, digestive system, and hormonal system. When your hormones are out of whack, it affects how you feel, how you sleep, how you digest food, how you age. 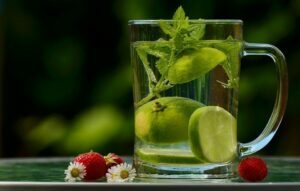 Hopefully, these are some pretty good reasons to convince you why a detox retreat could be very beneficial to your overall health. If you have questions about what type of detox retreat could best suit your needs, feel free to ask! Not your average Bali Retreat! This is what Paradise looks like!